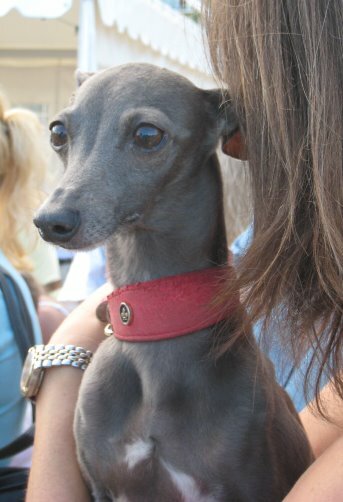 This beautiful dog - is it an Italian Greyhound or a Whippet? Yes, I know I should know. 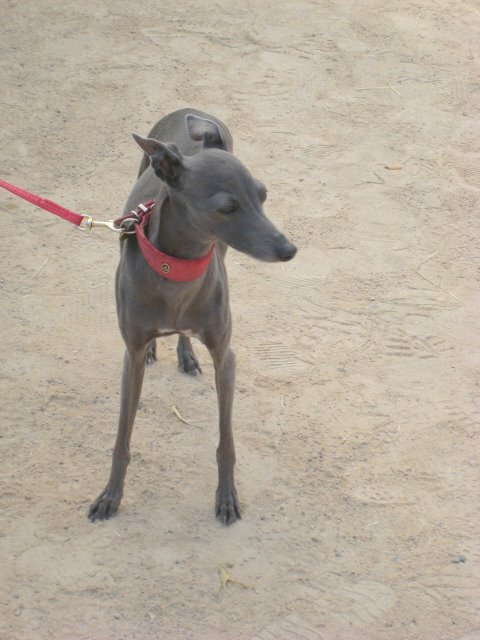 Well I think it's an Italian Greyhound by way of its size. Yet another dog seen at the Arabian Horse show in Menton. In the last photograph you can see one of the horses being taken out for exercise prior to exhibition. Yes, dogs and Arabian horses have always seemed to go hand in hand. You'll see all kinds of dog breeds at an Arabian show. Puts me in mind of when I collected my first dog. This was a rescued greyhound. I remember chosing her and bringing her home on the bus from the Blue Cross Home. This started along line of rescued greyhounds for.....crumbs, I've just counted nearly 30 yrs or so!!!! Anonymous, thank you very much. I thought it was. Very good of you to leave a comment. Here you'll find photos of some of the wonderful dogs that live in - or are visiting - the French and Italian Rivieras and Monaco. Thanks so much for visiting. Woof woof! All Photos & Text © 2007-2015 ~ Jilly Bennett, Riviera Dogs. All rights reserved. No personal or commercial use, reproduction or republishing in any media without prior written consent.